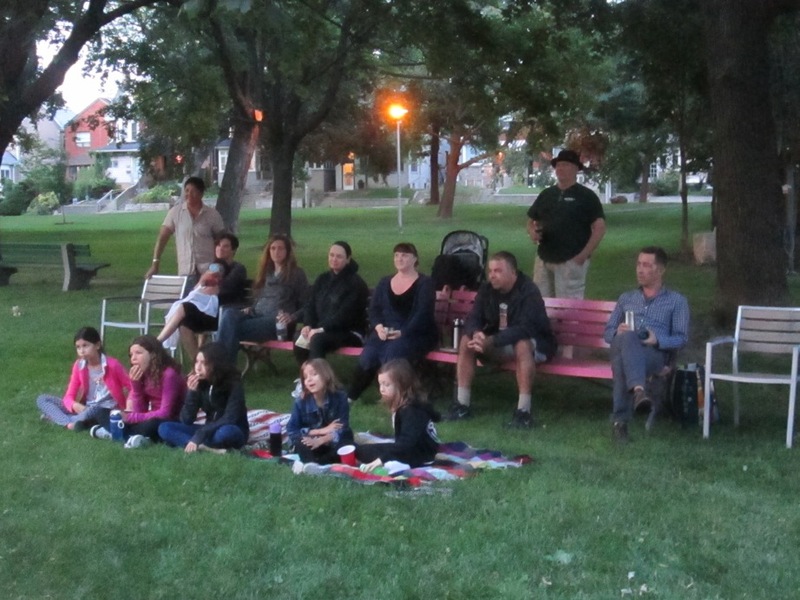 FoRRP screened Fantastic Mr. Fox the first annual Fred’s Favourite Summer Film on July 16th. Surprisingly directed by Wes Anderson, this wonderful film was a delight to all the kids and adults who sat happily on park benches and blankets on a perfect summer night for the screening. There is something magical about watching a film in the park! With Bob’s gentle touch, there was enough alliteration in the film title and Fred’s Favourite Film night to sink a ship! Thanks to the Events Committee, Rhea, Pat, Tim, and Bob for all their planning. Special thanks to Pat for all the goodies including popcorn and to John for the screening setup and his usual super tech support. Thanks also to Brian Green, park supervisor, and his crew for keeping the washrooms open long past their usual closing time and for maintaining the park in such fantastic shape!